Copy of Greatest Hits from Between the Lions — Sirius Thinking, Ltd.
Click on the images or titles below to sample some of the most popular songs from Between the Lions. Or, for an even wider selection, check out the "Mane Hits" Playlist on You Tube, available here. Paul Jacobs and Sarah Durkee wrote the opening title song for Between the Lions. The beautful lead vocal was supplied by Cindy Mizelle, and the animation that accompanies it was created by Balsmeyer and Everett, Inc., the grounbreaking company which also created the main title sequences for such films as Fargo, The Big Lebowski, Ghost, and O Brother, Where Art Thou? Randy Balsmeyer and Mimi Everett won an Emmy for designing the Lions opening, and we're immensely proud to have had the opportunity to work with them. "When Two Vowels Go Walking"
One of the most popular Between the Lions songs ever, "When Two Vowels Go Walking" presents the well-known rule about long vowel sounds in peppy, pop fashion, with lyrics by Sarah Durkee, music by Christopher Cerf, and a nice vocal turn from Paul Jacobs (with Sarah Durkee helping out). The animated vowels were provided by Michael Sporin. 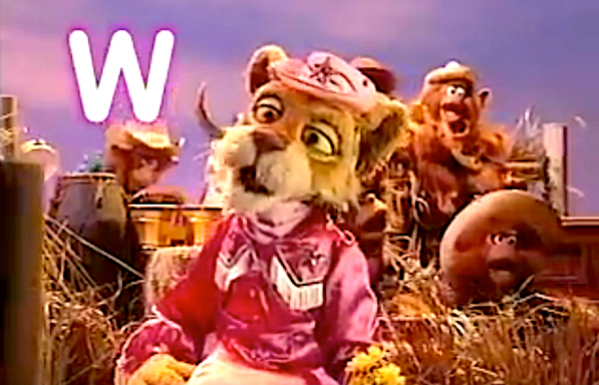 Tammy Lionette, beloved lioness of the country music scene, warbles "W Trouble," winning our hearts even as she helps us learn a phonics lesson about the letter "w." (By the way, have you ever noticed how much Tammy looks like Cleo on Between the Lions?) The music and lyrics for "W Trouble" were written especially for Ms. Lionette by Christopher Cerf. 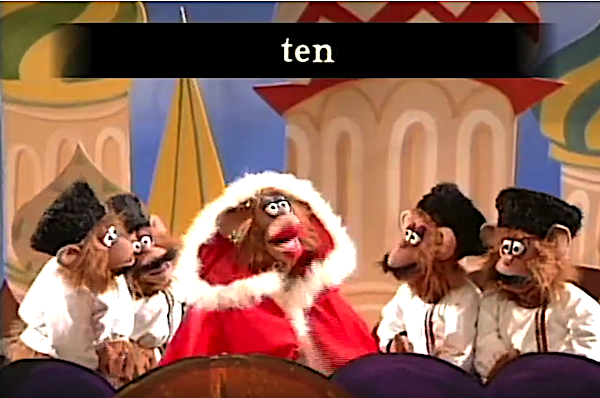 "Sven Said, 'Ted, Send Ten Tents'"
The incomparable "Monkey Pop-Up Theater" ensemble presents its most beloved tour de force, an homage to the "short e" sound written by multiple Grammy-winner, Thomas Z. Shepard. Jennifer Barnhart somehow mangaged to get through the lead vocal without stumbling on a single word. Sing along if you dare! The biggest and most celebrated production number in the history of Between the Lions, "You Need an 'ing'" was conceived by Sirius co-founder Michael Frith, written by Paul Jacobs and Sarah Durkee, and stars the entire Lion family and scores of amazingly talented singing and dancing monkeys. And that's not all -- it teaches kids about "-ing" endings, too! What could be better? B.B. the King of Beasts, America's favorite blues big cat, celebrates "living in the past tense" in this ode to "-ed" at the end of words. The great Nicki Richards, Paulette McWilliams, and Sharon Bryant are on hand to provide world-class backup vocals. Music and lyrics were supplied by Christopher Cerf.